By now we’re all familiar with the power of voice-activated assistants like Alexa and Siri. Machine learning and AI development has allowed for tremendous leaps in how we use our phones and home assistants for a wide array of minor tasks. Unfortunately, those assistants are not quite smart enough (yet!) to handle complex tasks. But that’s where Fin comes in. Fin can call, email, text, schedule, research, book, and purchase for you. Add Fin to email chains. Fin understands context, learns your preferences, and handles nuanced requests. Fin is available 24 x 7 x 365. We hire and manage a highly skilled and educated team, so you don’t have to. You pay only for what you use, down to the minute. We review every request, learn from mistakes, and only charge for quality. Fin connects to your services and learns to better serve you over time. 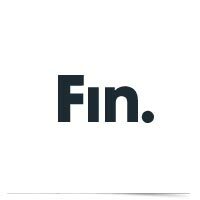 Fin applies what it learns from all the people it interacts with to make your experience better. Do you need an assistant to help you manage your hectic life? Find out with Fin’s quick survey.